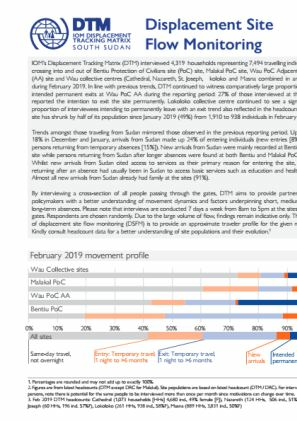 Trends amongst those traveling from Sudan mirrored those observed in the previous reporting period. 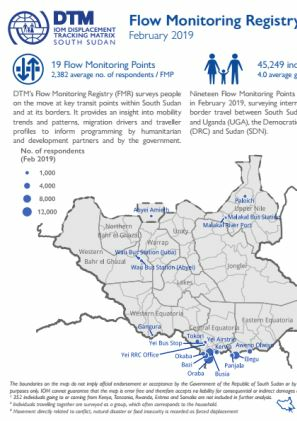 In both December and January, 18% of entering individuals (new entries [6%] and persons returning from temporary absences [12%]) arrived from Sudan. 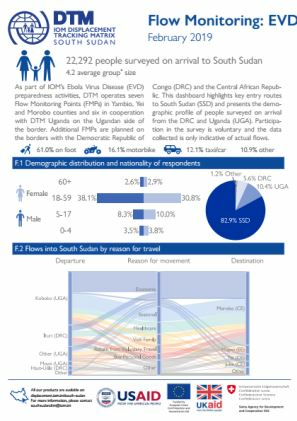 These arrivals were primarily observed at Bentiu PoC site, with an increasing proportion of persons returning to Malakal PoC site from Sudan after longer absences. 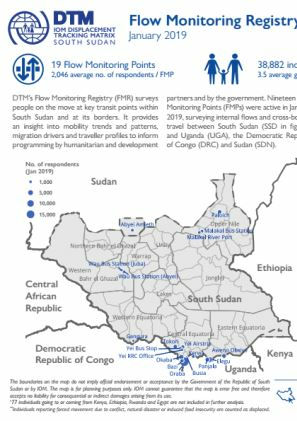 Whilst new arrivals from Sudan cited family as their primary reason for entering the site, those returning after an absence had usually been in Sudan to access basic services such as healthcare and education. 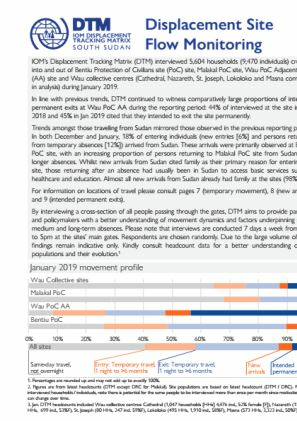 Almost all new arrivals from Sudan already had family at the sites (98%).